C-TEC's market-leading portfolio of conventional fire alarm equipment includes the award-winning CFP range of 2-8 zone fire panels, the ActiV range of fire detectors and a host of useful fire alarm ancillaries and power supplies. In addition to our own UK-manufactured equipment, we are also authorised distributors of a wide range of well-established manual call point, sounder, VAD and specialist detector brands such as Apollo, Hochiki, KAC, Fulleon, FFE, Xtralis and Cranford Controls. C-TEC's super-enhanced CFP 2-8 zone fire alarm panel is the UK's best selling conventional fire panel. Certified to EN54-2/4 by the LPCB and supplied in an attractive flush or surface mountable plastic enclosure, it includes four conventional sounder circuits, a fire relay, a fault relay, 'class change' and alert inputs and two open collector outputs (remote and reset). Designed with the installer in mind, it has a wide range of engineering functions including zone test, coincidence, zone delay and non-latching zones. Standard and non-expandable Economy versions are available. C-TEC's ActiV fire detectors include a host of features installers love - plenty of working space, two ultra-bright LED indicator strips offering all-round visibility, an ingenious detector/base locking mechanism and compatibility with virtually all known conventional fire alarm panels. Certified to the relevant parts of EN54-5/7, optical, fixed heat, rate-of-rise and multi-sensor variants are available, all manufactured in the UK. It's no wonder so many installers are switching to ActiV. C-TEC selects only the best of other manufacturers' products. As official distributors of Apollo, Hochiki, KAC, Fulleon, FFE, Xtralis and Cranford Controls, we can supply you with everything you need for your fire alarm system. Choose from a vast range of manual call points, smoke & heat detectors, specialist detectors and sounders & VADs - all at very competitive prices. Run out of sounder circuits? Devices triggering during routine maintenance? Got some equipment or log books you need to house in a durable enclosure? Need a remote indicator for an out of sight detector or a vibrating pillow pad to signal an alarm to the hard of hearing? From remote LED indicators to isolatable relays, hush buttons to sounder circuit extenders, C-TEC's low-cost fire alarm ancillaries are among the most popular around. With tens of thousands already installed, they serve as practical, reliable and quality additions to any life safety system. Ever get asked for a fire alarm system that offers EN54-13 'system compliance'? If so, our new BSI certified interface boards are sure to be of interest. Compatible with our CFP 2-8 zone standard fire panel and a specified range of field devices, our new BF354 interface board and fault monitoring modules are able to detect and indicate partial or 'creeping' open or short circuit faults BEFORE devices become inoperable.Required by law in many Benelux countries, EN54-13 is also hitting the headlines here in the UK. 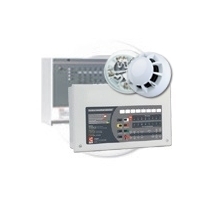 With fire legislation in many countries now stating any power supply performing a mandatory function of a fire alarm system must be certified to EN54-4, C-TEC's range of switch-mode VdS certified power supplies has come into its own. Ideal for controlling beam detectors, auto-dial communicators, aspirating smoke detectors, electromagnetic door holders, ventilation systems and more, the range comprises 1.5A, 3A and 5A 24V units and a 2A 12V unit. A comprehensive range of non-EN54 PSUs is also available.